THE OLD ADAGE, “all that glitters is not gold” may be quite true; however, the only investment that actually glitters is gold. Buying gold could never have been easier. Gold exchange-traded funds (ETFs) have made investing in the yellow metal very convenient and inexpensive. They offer you a way of participating in the gold bullion market without the necessity of physical delivery of gold. Investing in Gold ETF’s is more secure than holding physical gold as the ETF can be held in demat form. Furthermore, it eliminates drawbacks of physical gold – cost of storage, liquidity and purity. For high networth individuals (HNI’s), Gold ETFs also provide tax benefits in the form of exemption from wealth tax (as gold held in paper form is not liable for wealth tax) which is otherwise payable on holding physical gold. In case of Gold ETF’s long term capital gains (LTCGs) benefit is available just after holding period of one year as against 3 years in case of physical gold holdings. ETF’s allows for investment in gold in smaller amounts which makes it easier for retail investors to participate. With ETF’s you can take small exposure and hold for long periods. It enables you to accumulate the units over time and reap the benefits of rupee cost averaging. If you are likely to buy gold in future (e.g. for a marriage) then Gold ETFs allow you to start building your gold kitty in a systematic manner. Like in stocks, predicting prices with any accuracy is a fool’s game. Smart way of dealing with money is to eliminate or reduce uncertainty by choosing a pricing strategy which is price neutral. You can achieve it by making systematic & regular investments in Gold ETF’s. Since ETFs units are traded like shares, it gives you the ability to buy and sell quickly at market prices making them highly liquid. The only requirement is to have a DMAT account. World over investors looking to put money in gold are increasing routing it through ETF’s. In India, currently five Gold ETF’s are available viz Benchmark Gold BeES, Kotak Gold ETF, UTI Gold ETF, Reliance Gold ETF and Quantum Gold ETF. 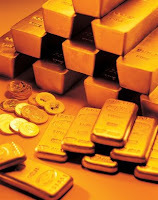 Finally, if you want to invest in Gold ETFs, first know the basics and FAQs about Gold ETFs. 4. Should You Invest in NCDs? I refer to Item 5 "Hedging" of your above post..could you explain how accumulating units though Gold ETFs is similar to building physical gold kitty? Can we convert all the units of Gold ETFs to physical at the time when we require for marriage. In my knowledge, we only get cash out by selling gold ETFs and we need to buy again the physical gold if we need to produce them for marrige or any purposes. As such how can we relate? I appreciate your kind clarification on the above query. Your articles on Gold ETF are highly appreciative. I have the same doubt. I want to start investing in Gold right now through ETF & will need physical gold after 3-4 years at the time of my marriage. Can these ETF's be exchanged directly for physical gold? If yes, then who'll provide that? will it be the same ETF company from which I'll purchase ETF?